My favorite painter pants have pockets for knee pads: just slip them out before washing. But I’m a freak. I buy good tools that work and I buy work pants, painters pants with knee pad pockets: this works. They last. To make it short, we favor 2 well-made products: with, and without builtin knee pads. Most painters prefer the strap-on ‘gel-type’ knee pads with the traditional painter paints. The pads don’t cost much for what they give you: fearlessness! Our favorite traditional painter pants are Dickies all cotton with double fabric on knees and seat. Not expensive. About 10 years ago, I fell in love with painter pants with knee-pockets for knee pads. Blaklader won the fight between a few companies making built-in knee pad pants (the others are out of business I guess). Order a size bigger as they will shrink (all cotton). You have to order the pads separately. Don’t be put off by the price. Worth it. The knee pads slip out before laundering. Ps, I upgrade the knee pads to a heavy foam that is thicker than the originals. Either way, I can drop down fast with no pain, even on a nail. Big Tip: Ordering work pants? Always buy them at least one size too big, not like nice clothes! Too-small painter pants are literally a pain. When painting, or even doing housework, you have to kneel frequently, but you hesitate because you can hurt yourself unless you have this kind of padding. Ever kneel down on a small pebble? Knee pads make you fearless and fast. Painting or dusting baseboards? Ha! You just don’t scare me anymore! Now we are dependent on kneepads for speed (and safety). With them we’re fearless about dropping down to our knees quickly, not to mention walking/sliding along on the knees. You want a very tough pad for that: the thin foam budget type…meh. …my sister-in-law grabbed them and said, “I’ll be cleaning the house with these!”. Trust me on this: you want the NoCry pads: over 1000 good reviews and we agree with those happy people. 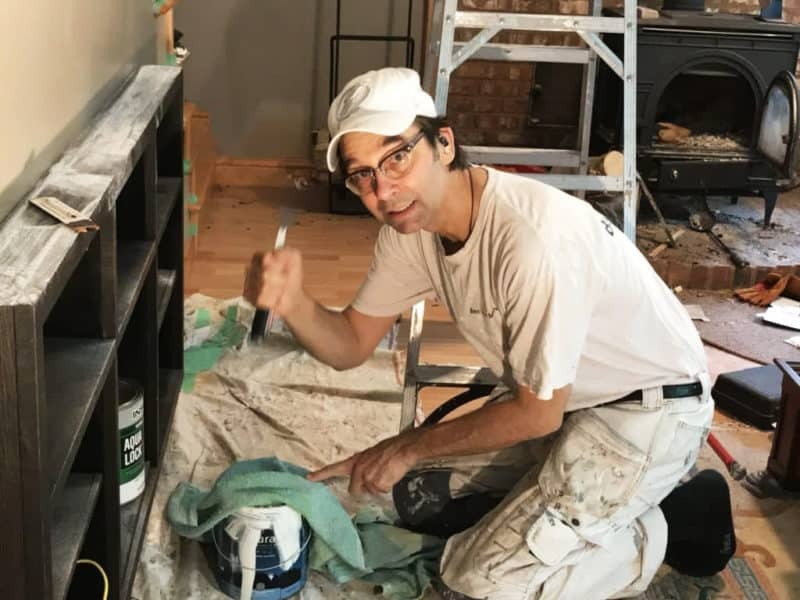 Quick story: I rang the bell and stood on the porch of a client once (I always wear somewhat new white painter pants to give an estimate), and looking at my painter’s pants, he remarked: “Just like a Pollack”. Do you know Jackson Pollack? He is the patron saint of all painters! Why do painters wear white? In the old-old days, and as recently as the 80’s, we mostly painted white and therefore the pants would look nicer for that much longer. Cooler outside too. 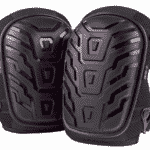 Knee-pads (ordered separately, link above) slip out before washing. To us these are essential for fearless painting. All cotton make them light. Price around $60. with double fabric on knees and seat. Last a lot of long work days. Worth every penny. Price below $35. If you really want the real thing, here is what you should look for in work pants with knee pads. All cotton. These cotton pants, are pre-washed. If the ones you pick are not prewashed, buy one size too big. Cool pockets. What goes in the side pocket? 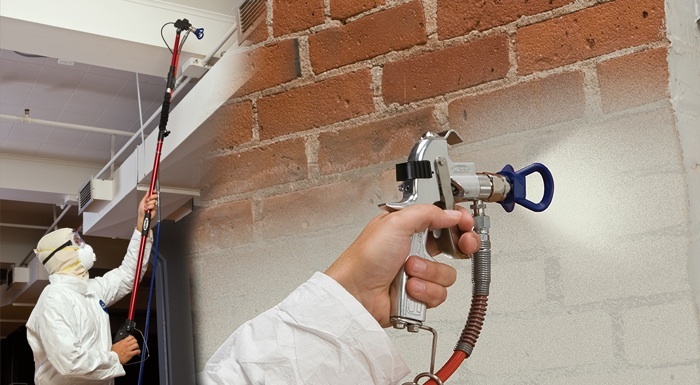 Our favorite tool, the 5-in-1 (which is a somewhat new invention). The pocket was originally designed for a small putty knife… when we used to use, you know, putty. 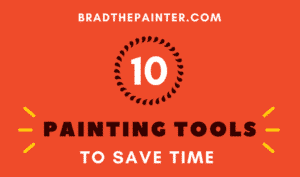 See my post on our favorite tools. Cell phone pocket built into many pants. I have a big phone and keep it on me. Nice to have a pouch on the belt too.I keep my phone in a ‘work’ case that has paint all over it… but you could use a plastic bag too. I recently read about how our clothes are killing us with additives that go right into our skin, so be sure to wash your new pants before wearing them. Know your facts about carcinogens. Side Loop on side: not for hammers…painters don’t use hammers enough to carry one around all day. This loop is for your rag!…but a hammer won’t tear it. Tip: we like colorful rags because when they fall on the floor, you can spot them easily against a white drop cloth! I never really like the bib overall even with knee pads built in (they are too hot and restricting). But I’ve been through probably at least two pairs of painter’s pants per year over a career of closer to 40 than 30 years. I often thought of selling my old ones on eBay, but I wonder if it is worth it. I’ll have to look at what someone will pay someday! They make a great gift, believe it or not. Just an extra: my painters trick bag. I have a small tool bag on my belt all day long: wow, what a time saver. This tool bag clips on over your pants so you can take it off…they get heavy. In days of yore, painters wore white because mostly what they painted was… you guessed it, the cheapest color available at the time–white. 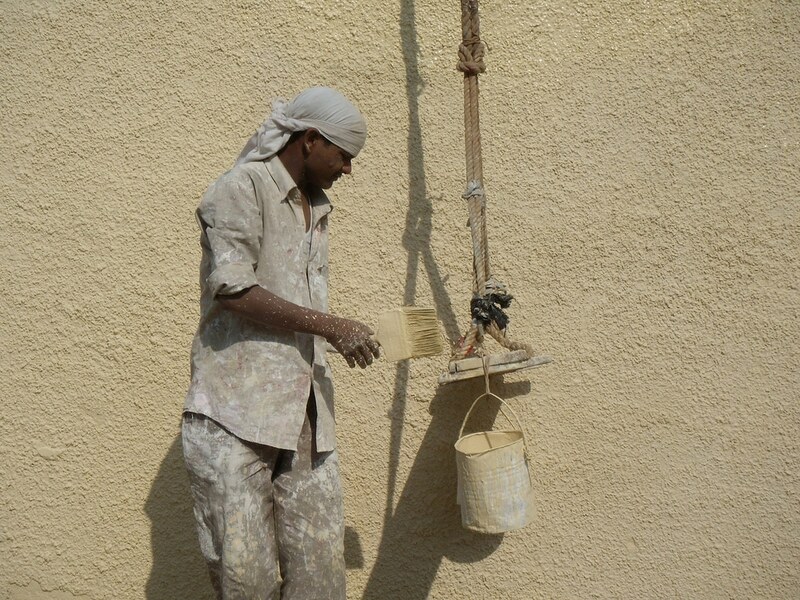 Painters still wear white so they did not look messy as even today, we use whites very often. So of course painters pants need to be white! 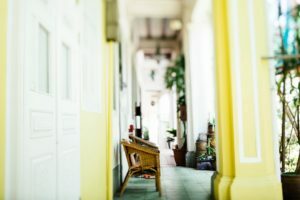 These days warm earthy colors are the norm for painting inside (and outside) walls in houses and public places everywhere. But white is no longer the most popular color only since around the NBC show Friends. Remember the purple door? This is when, according to my interior designer friend, that people really changed from white or off-white as the norm. It goes on still today by tradition: us painters wear white. 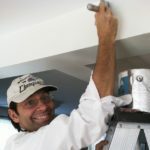 Now, if you see a “professional painter” wearing blue jeans, you may rightfully turn up your nose: painters wear white. Period. No arguing! Also, they make us look like the pure angelic beings we are. Dishonorable mention: “Caboose” painter pants are factory seconds: the reviews are in—a waste of money. Hi and thanks for writing. Yes, there was a pair of pants I loved but then I guess the maker stopped making or for whatever reason, they became unavailable. I currently have 4 pairs that are presentable in public…barely… and 3 have built-in knee pads pockets. Whichever you wanted… now what you see on the page above is the best I could find. I update when products become unavailable. Ps, this is not really a ‘store’. We point to amazon and we do get a few coins for a referral, but it costs you the same. I just enjoy sharing my life’s work with people who what to paint themselves. Keeps me busy in my ripening middle age.